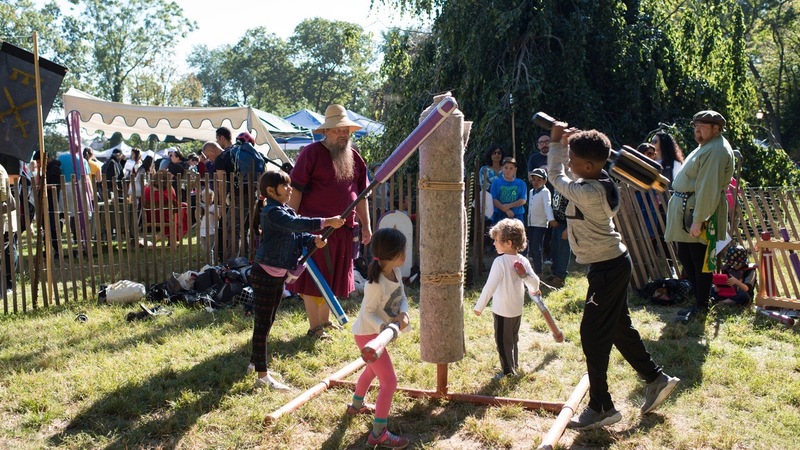 The Cloisters demo is the name we’ve given to the SCA’s encampment at The Medieval Festival at Fort Tryon Park, New York City’s largest annual medieval event, with over fifty thousand visitors. 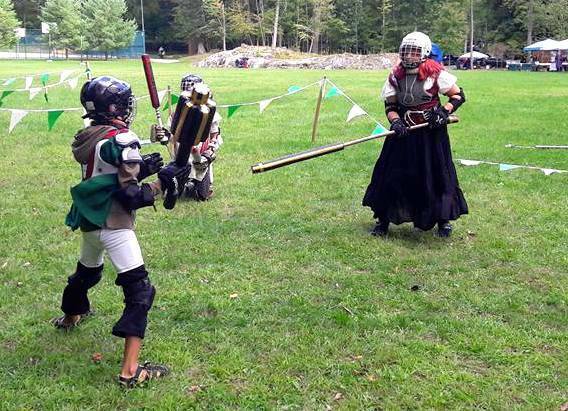 For the first time this year, we had a dedicated youth combat list field fenced off, which alternated between bouts of youth armored combat and periods of pell practice open to the younger members of the public. 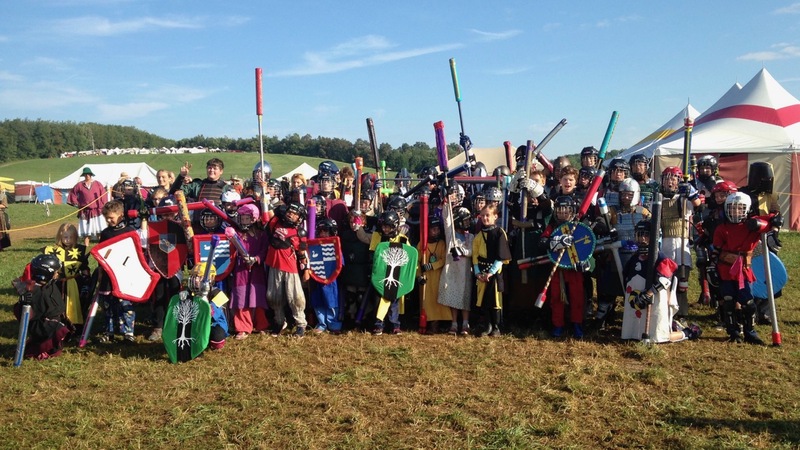 I quickly lost count, but somewhere well over two hundred kids came through during the course of the day, eager to handle a padded sword and take a few whacks at our target. 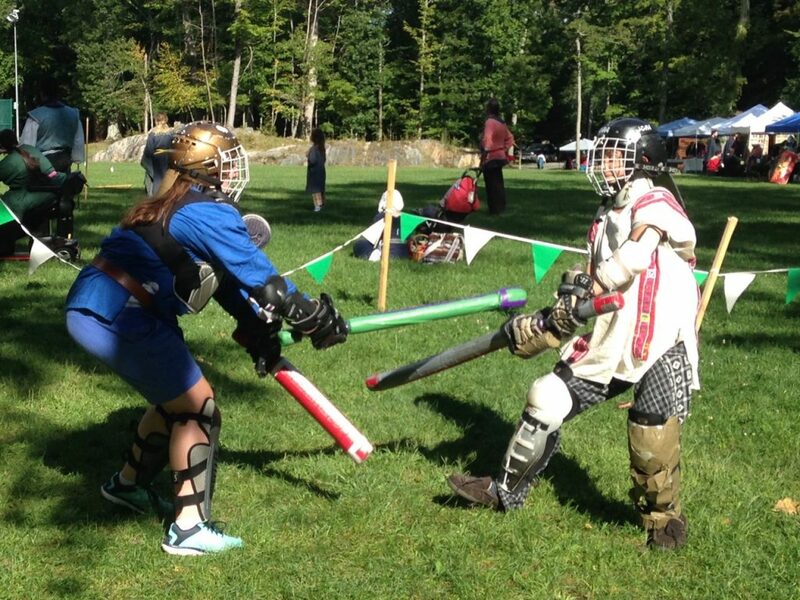 We also had five first-time Division I fighters who had made arrangements to join us on the field, get strapped into our loaner armor, and face off against our two more-experienced fighters. 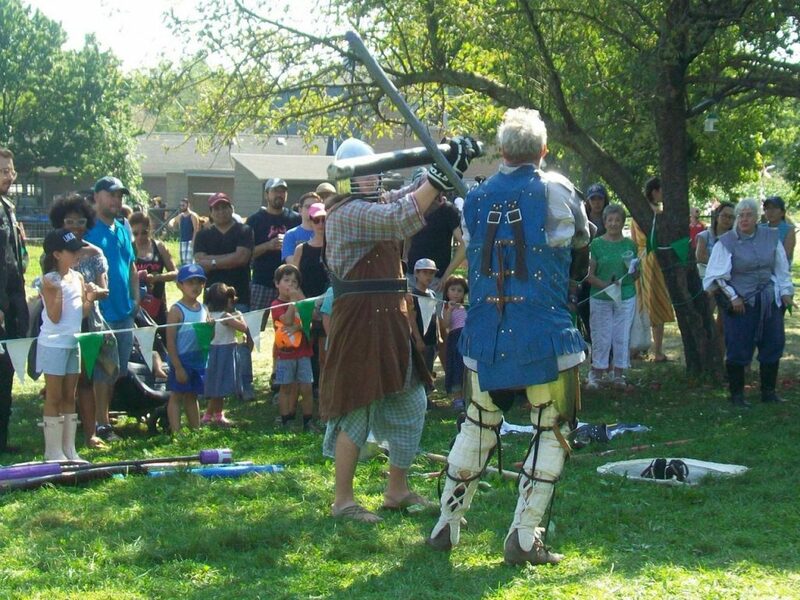 At the annual two-day Queens County Fair, the members of the Crown Province of Østgarđr provided demonstrations of a wide range of medieval activities, from many types of arts and crafts to archery, thrown weapons, fencing and armored combat. 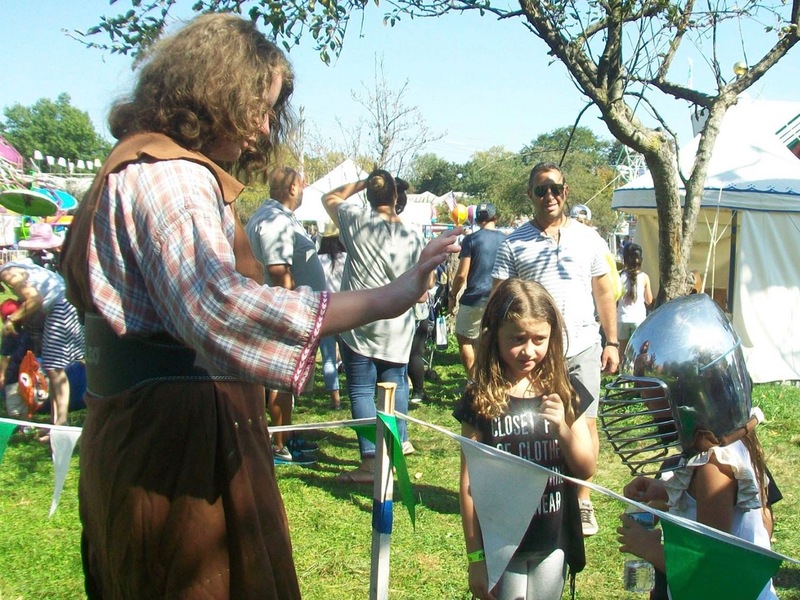 We supported this effort with a display of the weapons and armor used for youth combat, allowing members of the public to strike a practice pell. 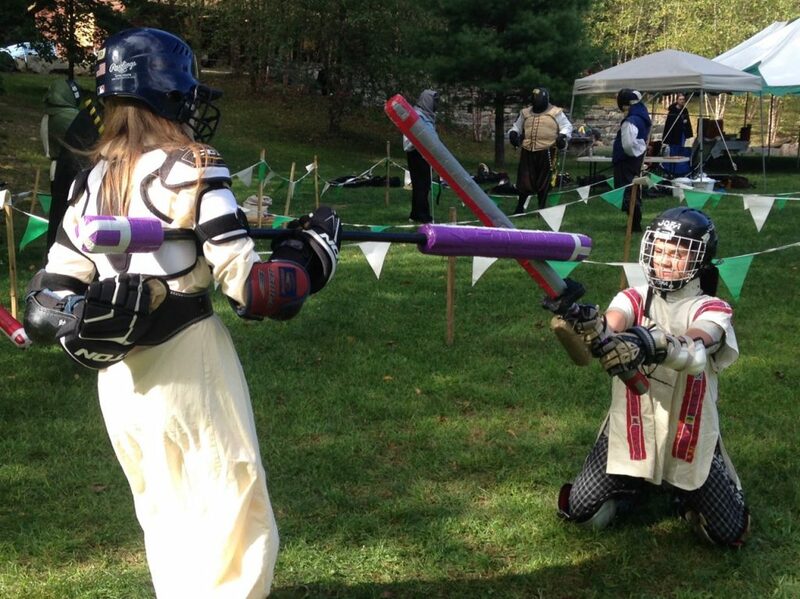 A youth fighter also worked with the adult fighters to demonstrate the tools and techniques of armored combat. 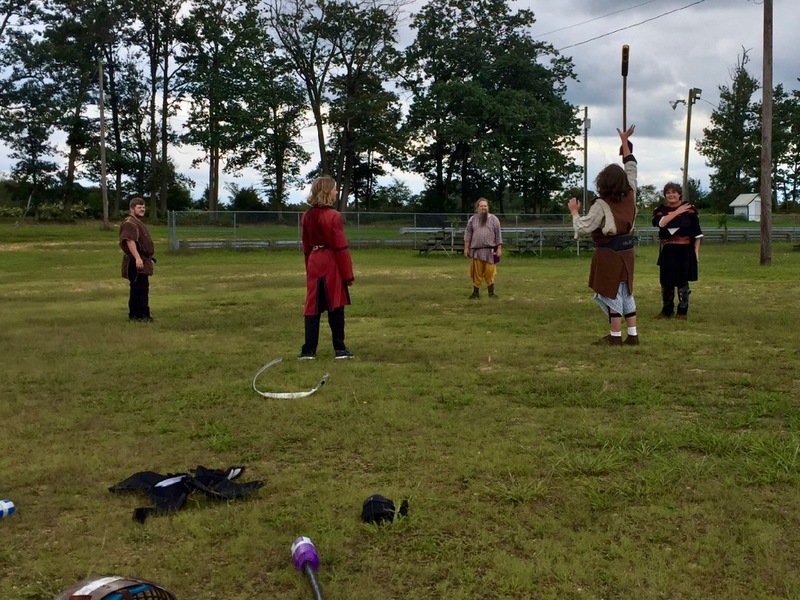 The weather was perfect for fighting at Barleycorn, held every fall in Northpass (just north of New York City). We had a half-dozen youth on the field, ranging from age six to sixteen, and from a first-timer to an experienced veteran. Thanks to Eikaterine and Lorenz for sharing the marshaling duties. Last photo by Oliver deBainbrig. 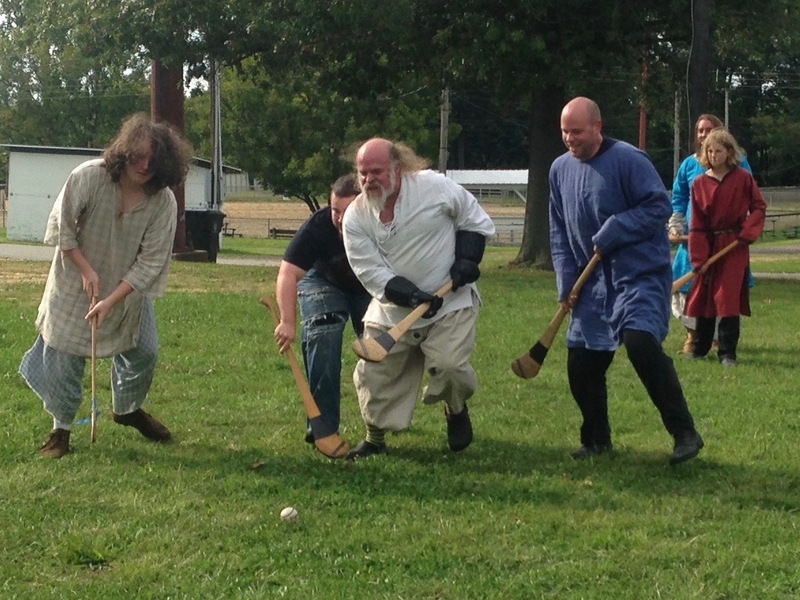 We traveled down to Iron Bog (in New Jersey, a bit east of Philadelphia) for this weekend’s River War. 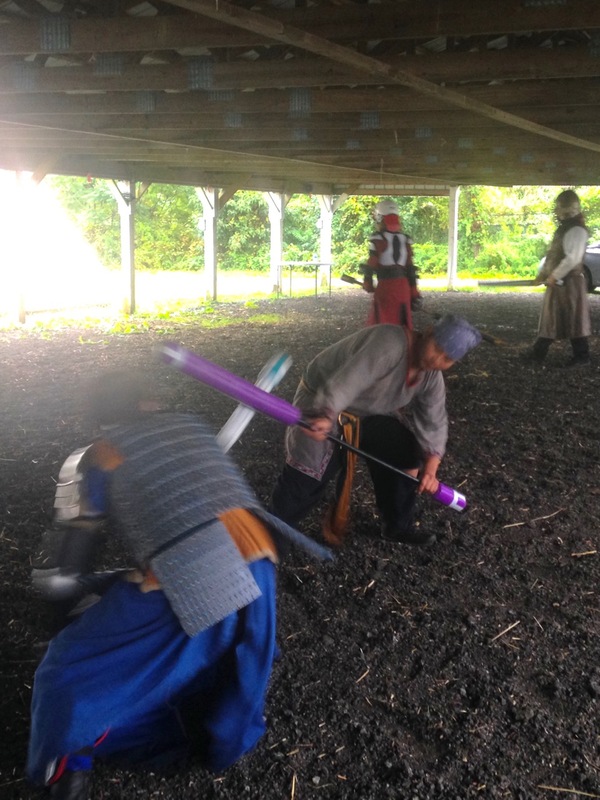 Saturday’s weather wasn’t great, so we moved youth combat into the shelter of one of the 4H barns, but by Sunday it had cleared up and we were back out on the field. My thanks to the handful of adult fighters who spent time with the kids, showing them techniques and giving them feedback. 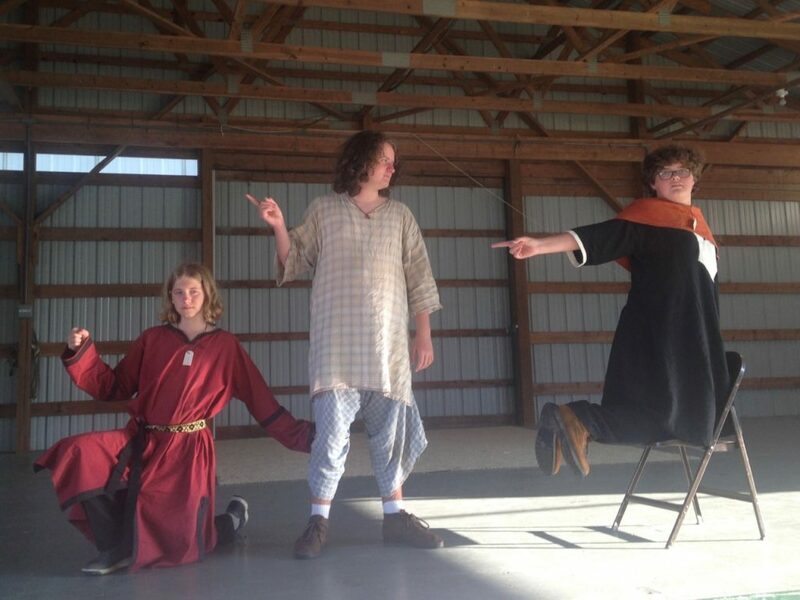 In addition to combat, some of the youth fighters also participated in a rough-and-tumble game of hurley and a comedic improv stage performance. 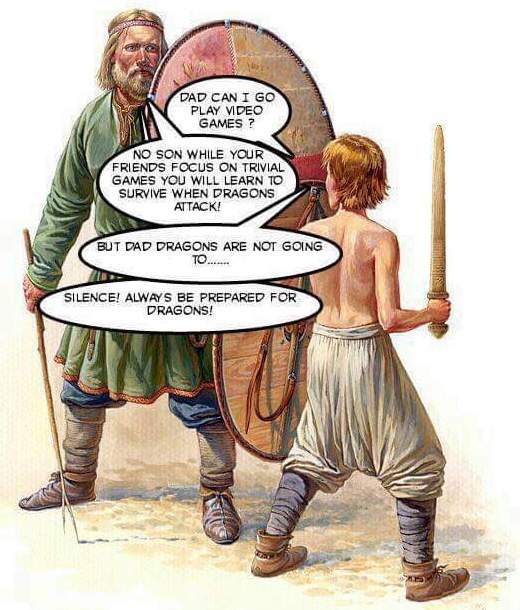 I usually say “zombies” rather than “dragons,” but otherwise this is pretty much me. 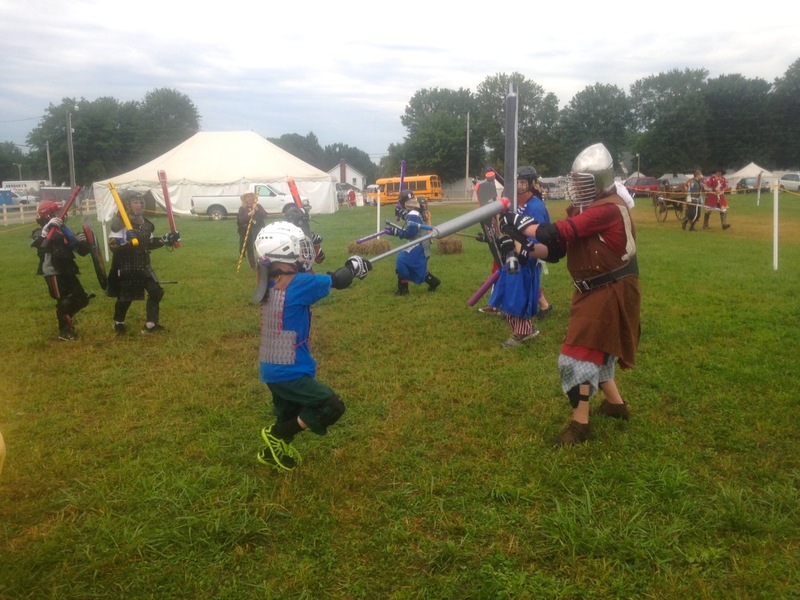 As expected, Pennsic was packed with youth combat activities. There were at least forty hours of fighting over the course of the week, and over a hundred youth fighters took the field. 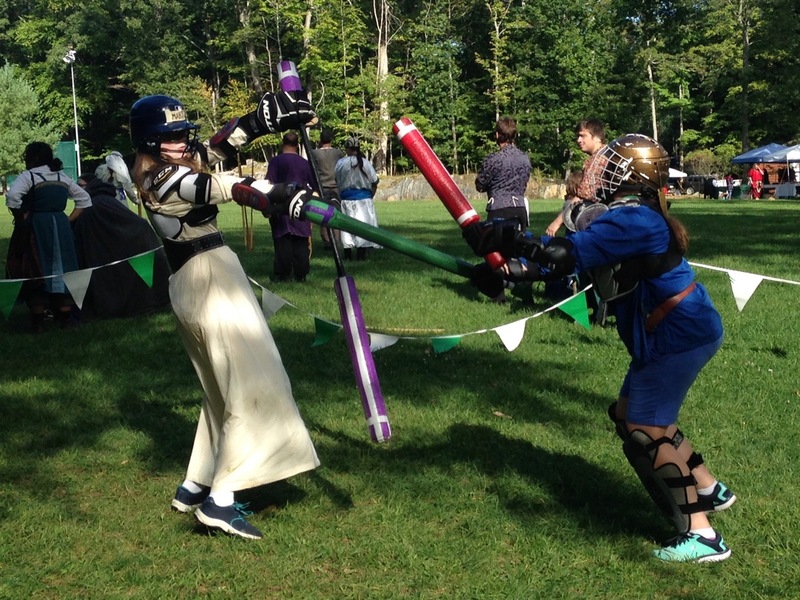 It’s been more than a month since our last youth combat event, due to a series of conferences and family vacations, but suddenly our calendar is just packed, with events nearly every week for the next three months! 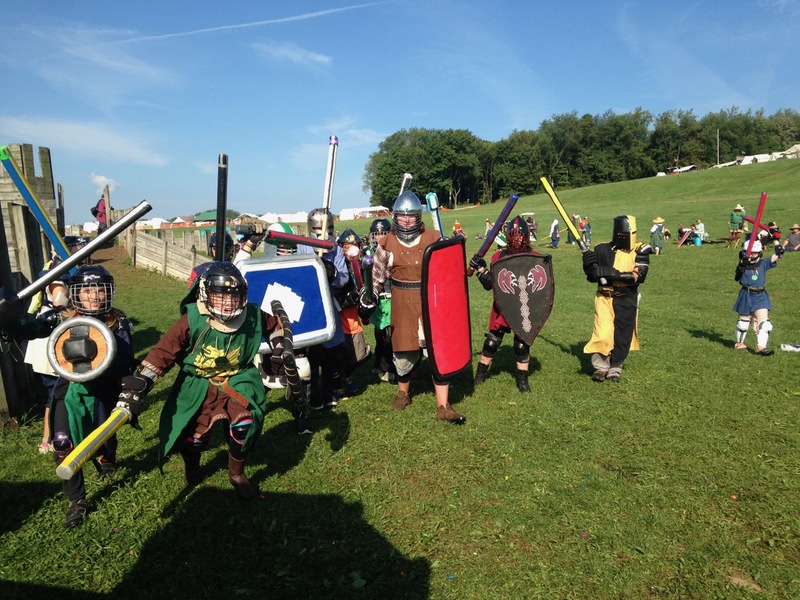 July 29 – August 12: Pennsic is the definitive event of the year for youth combat, at least in this corner of the known world, with eight days in a row of two and often three opportunities to take the field, facing off with dozens of kids from all many kingdoms. September 1 – 3: River War is in southern New Jersey, two hours from Manhattan. We’ll be driving down and running the youth combat event there. September 9: Barleycorn is held up in Northpass, an hour north of Manhattan, and is a wonderful event; it’s where Alex fought for the first time two years ago, and where I first got my feet wet as an assistant youth marshal. 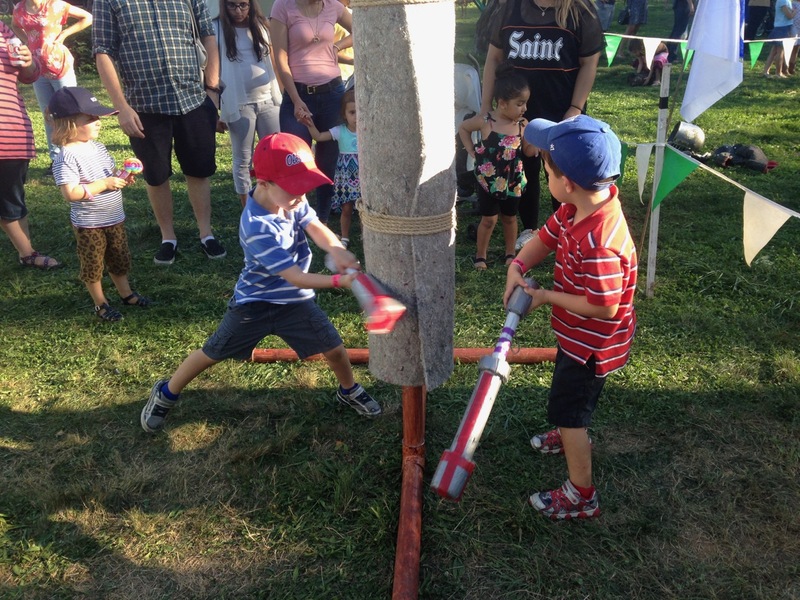 September 23 – 24: Queens Farm is a local demo near Little Neck, about an hour’s drive east of us, well attended by local families. We’ll be letting visitors take a whack at the pell, and hopefully a small squad of our youth fighters will put on a show for the onlookers. October 1: The Cloisters Demo is the largest event held here in Manhattan every year, with tens of thousands of members of the public walking past our pavilions. The king and queen of the East Kingdom will be in attendance, so we’re hoping to make this even bigger and better than usual. 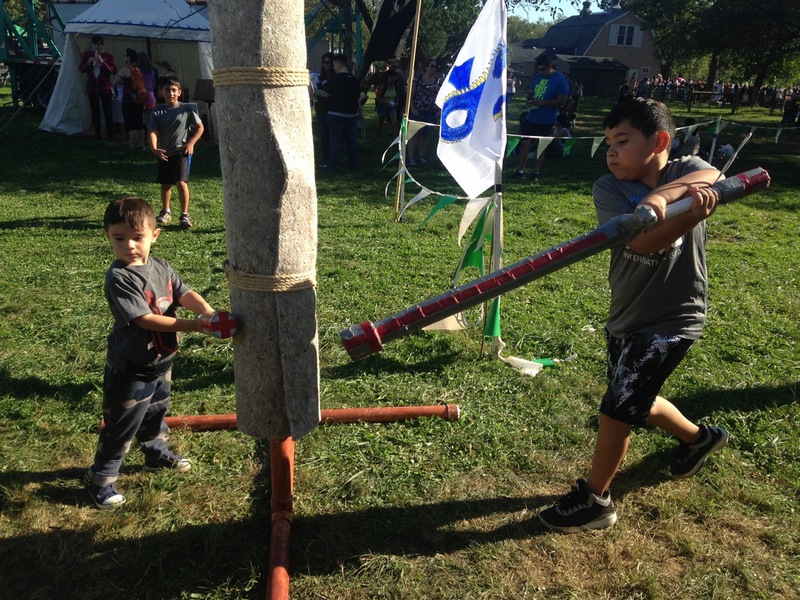 October 20 – 22: Goat’s Tavern is held in Northpass, and we’ll be running a youth combat area. If you’re interested in attending any of these events and getting your children into youth combat, drop me a line! 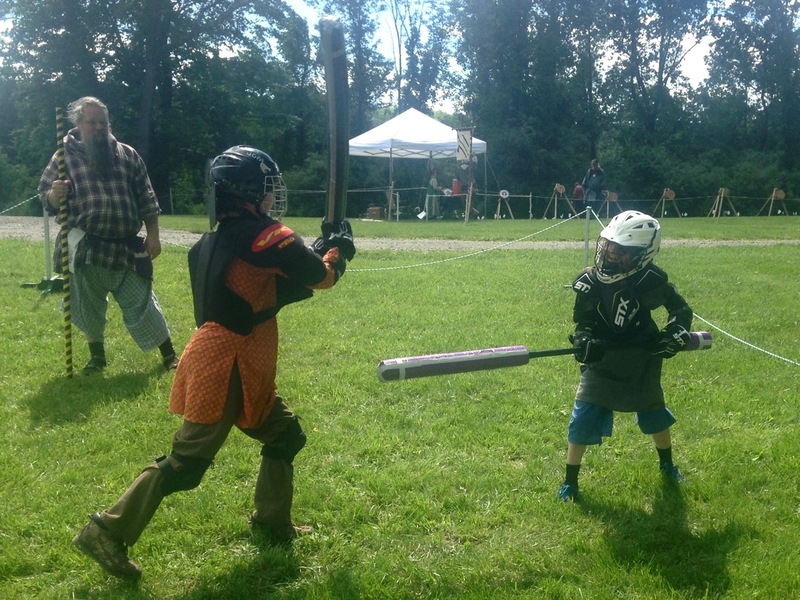 There are weapons construction guides on the East Kingdom Youth Combat web site, but sometimes a video is more helpful than words and pictures alone. Thanks to Lady Karrah the Mischievous, we now have such a video, showing the construction of a basic sword from PEX and two layers of pipe insulation. Greetings, all. 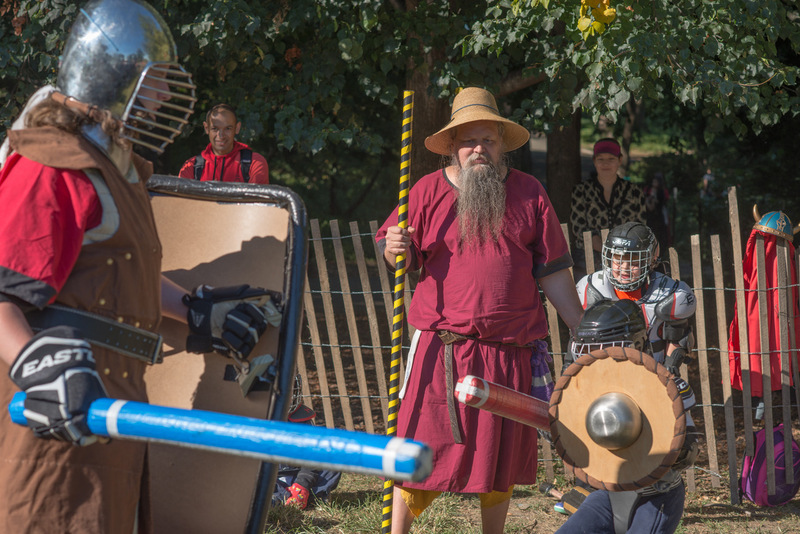 I’ve set up this site in recent days to provide a home for information related to our local youth combat activity here in the New York City region, as well as more general commentary that might be applicable to youth combat activities throughout the Society for Creative Anachronism. I’ve started by posting some archived photos from events over the last year, and notes I’ve previously written up for parents about how to get involved. We had a small youth meet at Blood & Axes in Northpass. The site was fantastic, and I look forward to future returns of this event.